Chintan Maniyar, 6th semester computer engineering student at Chandubhai S Patel Institute of Technology at Changa has brought these laurels to the country and made his institution proud. Chintan was selected by University of Georgia for a research internship. He has to went through extensive and comprehensive research followed by an insightful research proposal selected by the University followed by personal skype interview conducted by experts of Geology department at the University. 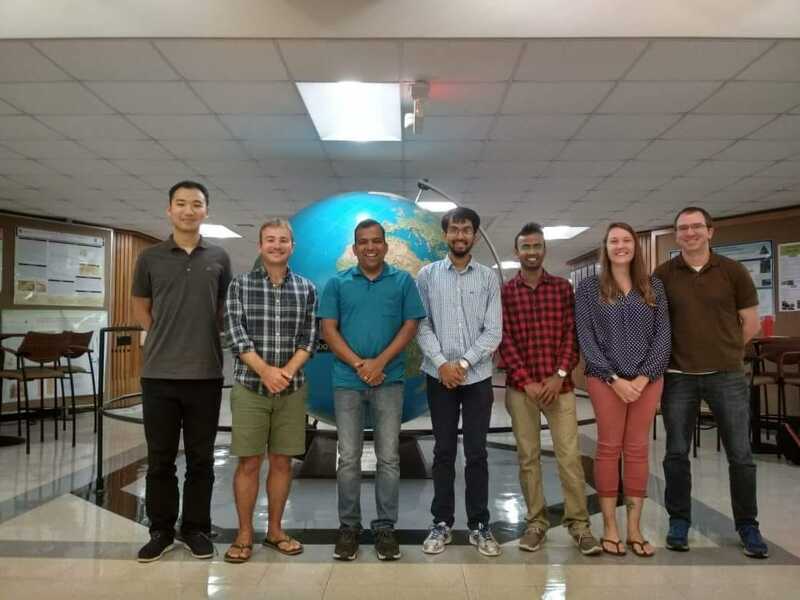 During the tenure of 8 weeks at Geography Department of University of Georgia in US, Chintan closely worked with Cyanotracker Team and studied the effect of Cyanobacteria on the lakes in India and other South Asian Countries. An eight week internship with full scholarship was conducted from 1st July to 31st July during which Chintan mainly worked on exploring relevant tweets for Cyanotracker team and highlighting those tweets on world map. Apart from this, Chintan also worked on modification of current sentinel 2 satellite Imagery code for improvisation of processing time and layering mechanism. Chintan successfully completed this internship under the guidance of Dr. Dipak Mishra from University of Gerogia. The convener of International Student Cell Dr. Vijay Panchal along with members Dr. Probheen Sukumar and Pro. Arpan Desai was instrumental in greatly motivating and supporting Chintan all the way during this journey.